The RAFAEL in Tilbury locks . More info RWJ. This bulk carrier started life in 1973, when delivered by a shipyard in Osaka, Japan, as FEDERAL HUDSON for a Liberian-flag subsidiary of Federal Commerce & Navigation, of Canada. 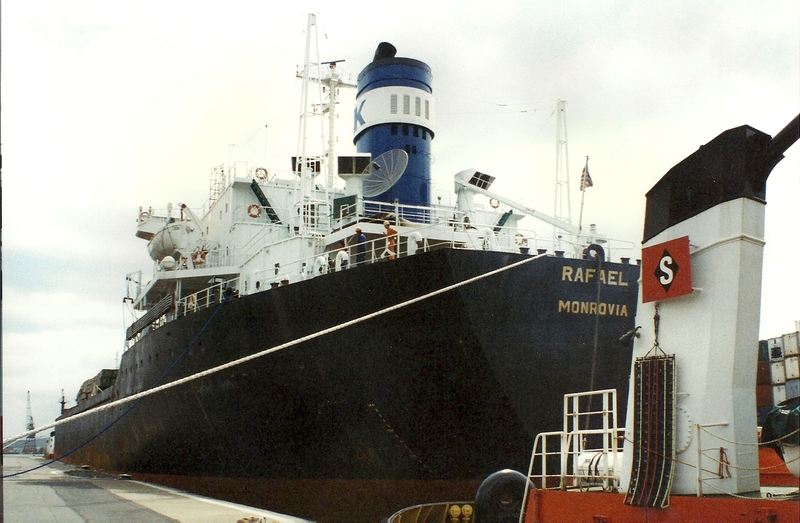 She changed hands in 1979 to become MONTANA, and was sold again in 1991 to become RAFAEL. At 20,659 tons gross and 34,186 deadweight, RAFAEL was owned by Rafael Shipping Ltd of Liberia and managed by Kedma Ltd, of New York (K on funnel). The ship, the registered owner and the manager were all beneficially owned by Greek shipowner Vassilios Livanos. 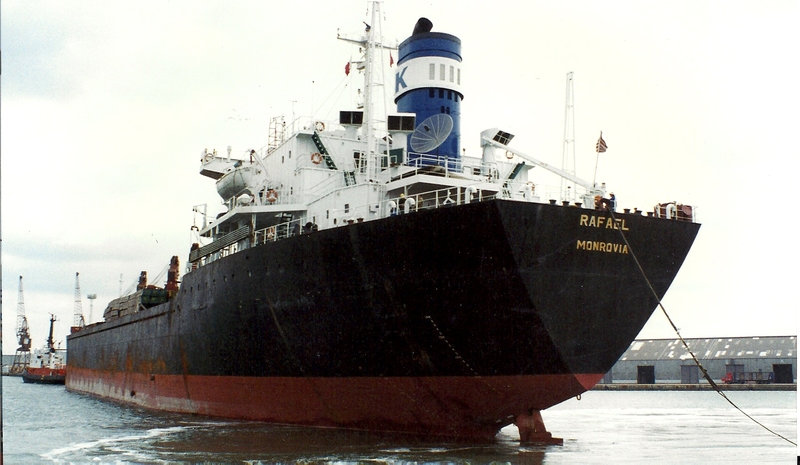 RAFAEL was broken up in China in 2000.